The Vikings lost to the Saints when Brett Favre forgot to use his head and threw across his body for an interception. 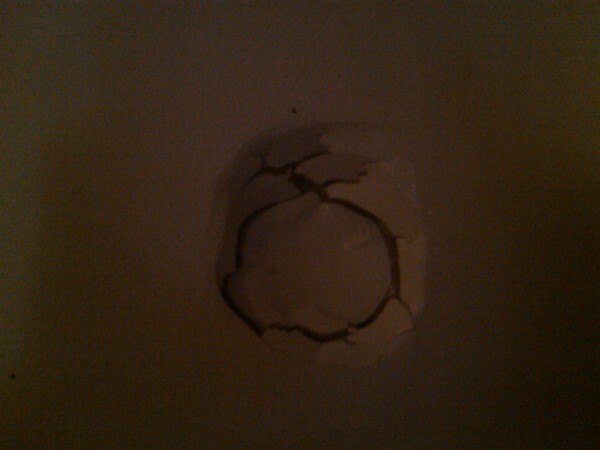 When we eventually lost the game in overtime, I was so pissed off I decided to use my head, and headbutt my wall. I vowed that I will not repair the wall until the Vikings make it to a Superbowl. Favre needs to comeback next year since he gives us our best chance to win…..and fix my wall.